The Titans are the previous generation of deities to the Olympians, and are actually the parents or grandparents of many of the later Olympian gods and goddesses. However, sentimental family ties are stretched very thin with the Titans and the Olympians. The (usually) twelve Titans are the children of a pair from a yet earlier layer of divinities - Gaia and Ouranos, the Earth and the Cosmos or time. They and their associates are sometimes referred to as the "primordial" deities. 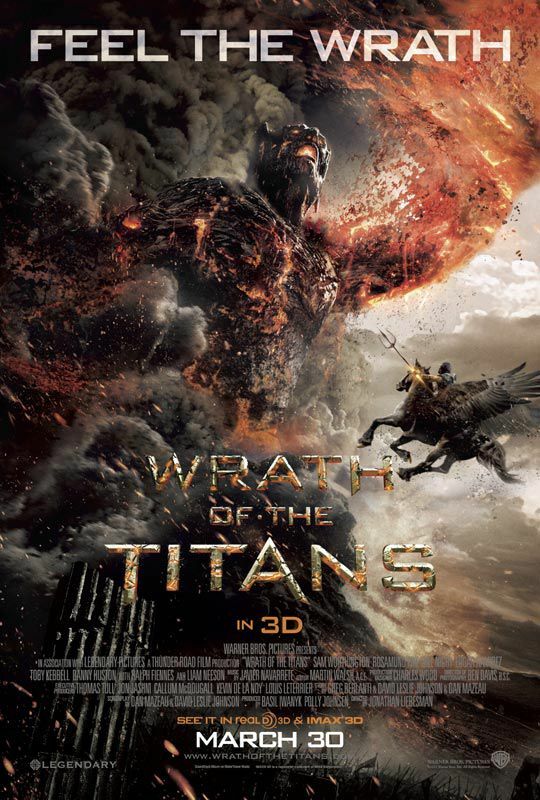 The other Titan names in Greek mythology are Chaos, Aether, Hemera, Eros, Erebus, Nyx, Ophion, and Tartarus. These are the "grandparents" of the Olympians. Coeus (Koios): An obscure Titan who mated with his sister Phoebe and fathered the goddesses Leto and Asteria. Crius, Crios, Kreios: Possibly associated with flocks of animals on Crete, but information on him is very limited. Father with Eurybia of Astraios, Pallas and Perses. He is mainly noted as a divine ancestor. Hyperion: Associated with light, both physical and that of wisdom. His children were all light-related: Eos (Dawn goddess) , Helios (Sun god), and Selene (Moon goddess). Iapetos, Iapetus: Associated with the westernmost of the four pillars holding apart earth and sky. He had four sons: Atlas, Prometheus, Epimetheus, and Menoetius. Theia, Thia, Thyia: Ancient goddess whose name means divine. Rhea Ancient mother goddess, similar in some ways to her own mother Gaia. Themis: Goddess of Law, similar to Dike, who may in turn reflect something of the ancient Minoan goddess Dicte or Dictynna. Mnemosyne: Goddess of Memory, later a Muse. Kronos (Cronus, Cronos) God of time, but not quite as "universal" as his father. With his brothers Coeus, Crius, Hyperion and Iapetos, he captured his father Ouranos and castrated him to allow the Titans to burst forth from Gaia, the earth where they were held captive in their mother's belly. Dione or Dion:, who was the wife of Zeus at the ancient site of Dodona, is sometimes added or substitued for Theia. Another female Titan, Asteria, presided over divination and dreams. Her name is preserved in the Asterousia mountains of Crete, and "King" Asterion may have really been "Queen" Asteria. While some of the Titans became parents to the major Olympian deities, many of their offspring were not so illustrious. Family squabbles were the norm; the Titanomachy is the name given to the eleven-year war between the Titans and their offspring, the Olympians, led by Zeus. The Titans are enjoying the attention of a new generation in the remake of the classic film "The Clash of the Titans". More on the Clash of the Titans "Greek" Movie Locations. The Kraken also appears in "Clash of the Titans", but it is not a Titan, just a modern, made-up beast created for the purposes of the movie. It has no place in ancient Greek mythology. The term "Titanic" came to mean anything exceptionally big and strong, which is why it was used to name the famed ship "The Titanic" - which proved to be a little less than divine. The Titans also are featured in the "Percy Jackson" books, and some of them appear or are mentioned in "The Lightning Thief". The 12 Olympians - Gods and Goddesses - Greek Gods and Goddesses - Temple Sites - Rhea - Selene - Zeus. Who Is Kronos, the Titan? Have You Met Hestia, the Greek Goddess of Home and Hearth?